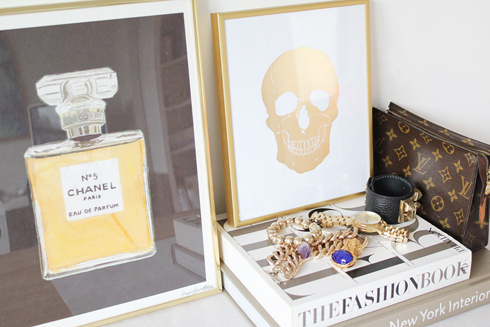 GOLD skull print - available now at MadeByGirl. ....maybe even too gorgeous for Halloween! 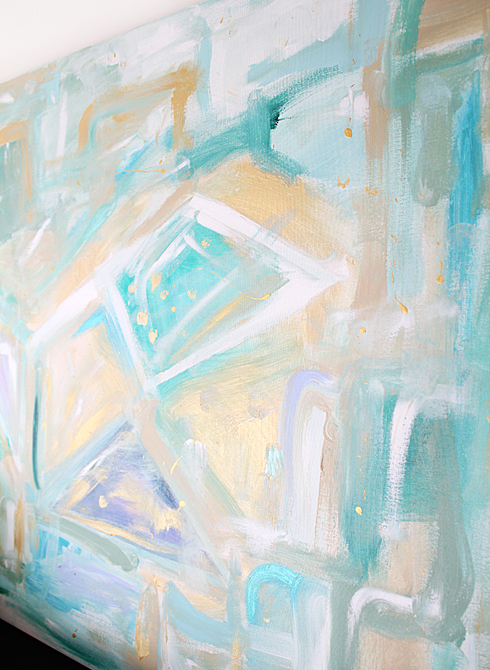 Oh & more paintings coming soon to Cocoa & Hearts! Stay tuned!! Love it! It feels edgy and pretty at the same time! I am thinking of buying the Chanel no.5 picture for our bathroom, can you frame it in silver? I love the gold but most our bathroom is silver accents. Let me know what you think. love the skull! I recently made a very colorful one. ill post it on my blog soon! That is gorgeous, Jen. I love it. He would look wonderful in my dressing room. Very chic! OH my gosh! I love that skull print! Adding it to my wishlist. Very nice! I loved your new items so much :-) I mentioned you in my recent post by the way.. The gold skull is great and totally fits in with your line. I love it and the Chanel! Extremly lovely =) i like..
wow i absolutely love you decorate your home! LOVE IT. I want this for my living room right now! Wow, that scull print is amazing! Pretty enough for year-round!